- Rokso Sealing Slurry is highly convenient powder form for waterproofing of most construction application other than water retaining structures. - Side walls of the buildings or any vertical walls. - Terrace Parapet veils and Window chajja. 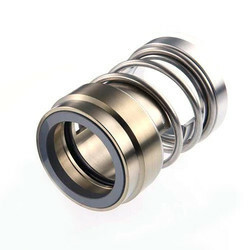 Multi Spring Slurry Seal is special purpose single coil balanced seal designed with various spring for use in media containing abrasive or solid particles. This compact design seal permits its use in all types of centrifugal pumps. Designed to handle solids up to 20% by weight. We are a unique name in the industry to trade an exclusive range of Heavy Duty Slurry Seal. - Size: 3/4" to 5"
- Double Semi Cartridge mechanical seal. 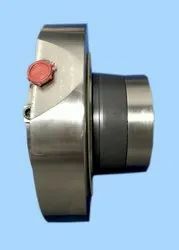 - Abrasive Slurry seal up to 30% due to it's specially design of Back plate and shaft. With the constant assistance of well qualified professionals, we are widely engaged in offering a wide assortment of Slurry Seal to our clients.